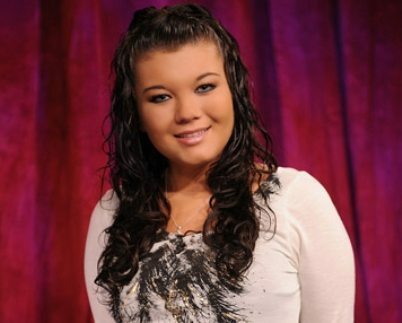 Hollywood FAQs: After a suicide attempt on Tuesday, ‘Teen Mom’ actress Amber Portwood has been discharged from the hospital on Thursday. The actress was admitted to the St John’s Hospital in Anderson, Ind. on Tuesday. Amber was immediately rushed to the hospital on Tuesday, after her on and off boyfriend Gary Shirley had called the police saying that Amber might have injured herself. The 21-year-old actress was then rushed to the hospital. On Thursday, Shirley had written on Twitter that Portwood was safe and was getting help that she needs right now. After the actress was admitted on Tuesday, there were reports that Portwood might have been held for 72 hours for a psychiatric evaluation. Shirley and Portwood are parents to a 2-year-old daughter Leah. Leah is most of the time in custody of Shirley. Gary had later on announced on Facebook that a new email address has been created for the fans of Portwood to wish her speedy recovery. Gary had added that the emails would be screened and the emails that would have a positive message would be printed and be given to Portwood to read. After the actress was hospitalized, Amber’s brother Shawn had alleged that Shirley was responsible for the condition of Amber.